The Maldive "Justice" Party appears to be just another bunch of Bronze Age mullahs preoccupied with bodily orifices. It is customary for fasting Muslims to spit all over the place. Recently a "scientific" application of Ramadan spit was revealed by the newly formed "Justice" Party (Adhaalathu Paatee), an Islamic political party in the Maldives. According to a pronouncement in the "Justice" Party's web site, the conclusive evidence that a woman has been cleansed of menstrual blood is a whitish vaginal discharge with an Arabic term that translates as "white gush". This gush has the consistency of the spit of a person observing Ramadan, or so the mullahs tell us. Indeed a most unhygienic and unscientific method of determining a bodily function! The Maldives has just allowed the establishment of political parties as part of its alleged democratic reform agenda. It has taken a Bronze Age excuse for a political party to reduce democracy to spit and vaginal discharges! The "Justice" Party appears to be just another bunch of Bronze Age mullahs preoccupied with bodily orifices. Maldive ruling mullahs assembled in Western clothing to confirm the new moon of Ramadan 2005. Note that there are no women in such an auspicious assembly, just in case they pollute these proceedings with menstruation or their deficient intelligence. Sahih Bukhari Volume 1, Book 6, Hadith number 301: Once Allah's Apostle went out to the musalla (to offer the prayer) of 'Id-al-Adha or Al-Fitr. Then he passed by the women and said....."I have not seen anyone more deficient in intelligence and religion than you..."
In order to usher in Ramadan, the Maldive ruling mullahs stage an elaborate ceremony every year. Their objective is to create the impression that they determine the new moon based on scientific criteria. However their determination is ad hoc and is sometimes based on actual moon sightings and sometimes on what their friends in other Bronze Age centres do. The Islamic lunar month is ushered in at sunset on the day of the first waxing moon. The moon has to be physically sighted, by the naked eye, after sunset on that night if that night is the thirtieth since the sighting of the previous new moon. The procedure is antiquarian in modern times. However the Sharia laws seem to remain fossilised in the 7th century AD, in the Arabian desert. The requirement for the physical sighting of the moon added incredible vagaries into civil life. It was not possible, for example, to plan anything ahead. Careful plans of events had to be suddenly altered based on some ignorant fishermen's claim that they had sighted the new moon the day before it was expected. Islamic law accepts the testimony of two men with a total of four eyes between them. The testimony of four women with a total of eight eyes may be accepted if they were not menstruating. The witnesses, of course, cannot be either infidels or slaves. The out-moded calendar system used by Islam is so clumsy that most present day Islamic countries such as the Maldives have long been forced to endure the ultimate indignity of accepting the Christian calendar in civil life. The difficulties with the clumsy Islamic calendar system is outlined in our article Maldive Calendar. It appears that even in Saudi Arabia, the arch-conservative hub of Arab culture, the vagaries of the Islamic calendar were addressed as early as 1998-9. The following is a telegram sent from the Supreme Council for Islamic Pronouncements in the Kingdom of Saudi Arabia to the Jordanian Astronomical Society in 1998. 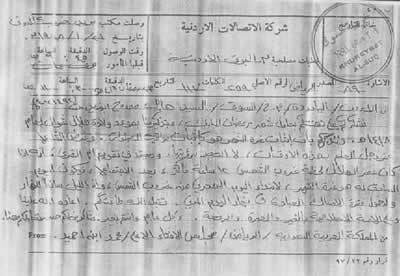 Literal translation: "( To Jordan/ Al-Yadodeh/ M.Kh./ Al-Sook/ Mr. Hayel Mamdooh Abu-Zeid, dated January 21, 1998/Ramadan 23, 1418 AH. We wish to thank you for sending us your greetings of Ramadan, and for reminding us of the date of the New Moon of Shawwal for the year 1418 AH. We would like to remind you that determining the first day of the Islamic month is like determining the prayer times, and the aim of the Almighty for these times is to inform us not to take it as worship. It is adopted in Umm-ul-Qura calendar that if the moon's age at sunset is 12 hours or more after the new moon then the PREVIOUS day is the first day of the Islamic month, since the Islamic day starts at sunset, and the night is before the daylight, as well as the time of fasting is in the civil daylight. May Allah accept your worship. May Allah bless this Ramadan. Thank you for your good cooperation. From: the Kingdom of Saudi Arabia/ Al-Riyadh/ the Supreme Council for Religious Pronouncements "Majlis al-Ifta' al-A'ala"/ Mohammad bin Ehmead.)" The following is a pronouncement of the Saudi Religious Consultative Council issued in 1999. Literal translation: "To determine the commencement of lunar months, the collaborators in the preparation of Umm Al-Qurrah calendar should adopt the sunset before the moonset according to Mecca, and the coordinates of Al-Haram Mosque are adopted." To eat for supper two iron wood. Invocations and chants related to the Ramadan fast and other Islamic rituals have to be said in Arabic. As a result of Arab imperialism and colonisation, Maldivians have long been under the impression that Arabic is the only language acceptable in the heavens. Nevertheless, Maldivians found it hard to pronounce the language of their colonialist masters and always deviced Divehi versions, partially in jest and partially blamed on children. The above was the Divehified formula that had to be uttered to make the Ramadan fast valid. So as not to offend the mullahs this version was blamed on children. There are social and legal injunctions against not fasting. Older children are encouraged to mock at, humiliate and bully little children who are too young to fast. As a result it is quite common to find dehydrated little children who attempt to perform the fast out of embarrassment. Roadha nu kuni. Mas kuni kuni. Jalaanu kunyoa. Bandaaraa bodu rukakah mathaa negiyyoa. While going round and round around the feet of children who are fasting. Hauled up a government's big coconut tree yo. Adults who do not fast are arrested by the police and flogged by the Sharia courts. Every Ramadan several people are arrested and taken before the Sharia courts. 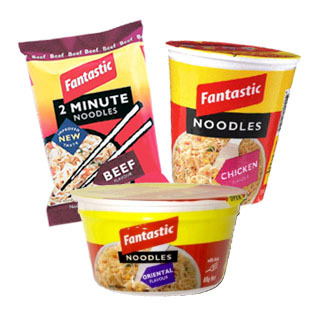 The introduction of instant noodles offered pleasant relief to this predicament. Those who wish not to fast seem to be able to get away with having the odd discrete packet of this oriental delicacy. Just before the introduction of instant noodles in the early 1980s, there used to be a roaring trade in fish buns (mas banas) in the local bakeries in Malé, particularly at what would normally be lunch time. Where there was a will there was always a way. There is also a significant group of Maldivians who, just before Ramadan, develop all sorts of ailments that necessitate travel to neighbouring Sri Lanka and India where Sharia law is not enforceable. For some strange reason their treatment abroad always lasts until the end of Ramadan. Ramadan is always an excuse for a culinary extravaganza. From the time the sun goes down people are openly preoccupied in eating and drinking, apart from the odd dash into the bedroom. During the hours of darkness, the average person would consume significantly more food and drink than they would during an entire day outside Ramadan. The NSS (Maldive National Security Service) officers' mess is no exception to this paroxysm of gluttony. At the sunset meal, each officer is served with about seven to eight different types of drink and these would be lined up in glasses at their tables. Lower ranks, who are less fortunate, unkindly call this "juice fall in!". Ramadan creates a heavy financial toll on the average Maldive household. While the Maldives is, per capita, the wealthiest country in southern Asia, income distribution is among the most inequitable in the world. 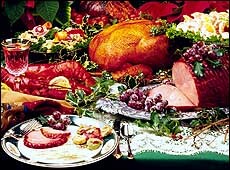 The gluttony that is Ramadan represents an annual drain on the household budget of the average Maldive islander. Wealthy islanders travel outside the republic either to dodge the fast or to spend the month in Mecca, kissing the Black Stone, a pre-historic meteorite that was worshipped as one of the gods of the Kaaba temple by Mohamed's tribe. In both cases it represents an unnecessary drain on valuable foreign exchange. In an economy where the exchange rate is still artificially fixed by the central bank, this adds to the government's fiscal deficit, which is partly financed via increased indirect taxes and government charges. Inflationary deficit financing by the government creates another fiscal burden on the poor. It appears that the Maldive Police and security forces are becoming rather lax in their enforcement of holy commandments. This could be because of their committments to cracking down on political dissent. Reports coming in from Malé indicate that the number of households getting away with cooking and consuming meals during the taboo hours of Ramadan is on the rise. Miscreants are also busy testing the limits of law enforcement during Ramadan evenings more than at other times of the year. Evidently there is an esplanade with park benches in the newly reclaimed area of the island where young couples relax in the evenings publicly engaging in fornication. This area of Malé is aptly named "Making-out Point" by locals. There used to be a time, not so long ago, when couples found holding hands in public were asked to produce their green-coloured marriage certificates. It was as if Maldive Police expected people to carry around that green forms all their lives. Failure to produce the marraige certificate sometimes (depending on the couple, of course) resulted in respectably married couples being arrested on the spot, bundled into the back of dog control-type vans and taken in to be beaten and raped like common pro-democracy demosntrators. Things have changed for the locals! Foreign holidaymakers, however, are still told to respect the Islamic sensitivities of that "one hundred percent Islamic" country. They pay through their noses to be able to wind down and relax on the beaches only to be told to cover up while sunbathing. And yet local couples are now able to relax on park benches of their capital city and bonk to their hearts' content in full view of everyone.